Just about every leader that we coach, train or speak with has too much to do and too little time to get it all done. Yet this is the real world that you must operate in, and as the leader, it’s still your job to deliver results despite of it. Chances are you have been in your management role for a long time, and while you certainly have learned a lot and do many things well, you also know, deep down you could be better. You experience uncertainty and frustration. You experience situations that you get through, but you are sure you could have handled them better. In this workshop we will focus on some areas you would expect, like communication, coaching, and change management – but in each case we will go deeper and discuss things you might not have considered before – and in some cases share secrets that are different than what you might expect or have seen before. But beyond these important skill areas we will explore trust and influence – and how those factors can also increase team effectiveness, organizational culture and innovation – and this is just tip of the big leadership iceberg we will expose and dissect for your success. Everything that we learn together is built around timeless and proven leadership principles that you can take back and implement in your own organization to immediately impact your results and your success. You will get the opportunity to work in a group, exploring potential leadership situations and working to develop solutions for each. And at the end of the workshop, we’ll conclude with a purposeful session where you’ll create a personal, practical and do-able action plan that will put your new skills into action with practical first steps next steps. Remember, leadership results come down to time and focus. When you take the time to develop yourself and focus on timeless principles that can be applied to any situation, you will get the results that you desire. 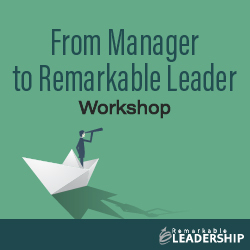 This workshop is designed to help you as an experienced manager, whatever your level, to build the skills and deepen your understanding of these principles for greater results.